On Tuesday, federal officials announced a number of charges in a high-profile violent crime that happened last year in Anchorage. The Justice Department says the case is an example of growing partnerships between federal, state and local law enforcement to combat violent crime. Speaking at a press conference in Anchorage flanked by prominent police and prosecutors, U.S. Attorney Brian Schroder said his office is charging five Anchorage residents with serious felonies like drug trafficking and kidnapping. Charging documents name Macauther Vaifunua, Faamanu Vaifanua, Jeffrey Ahvan, Rex Faumui and Tamole Lauina as defendants. Instead, the driver brought the injured man to the hospital, and he has since recovered enough to cooperate with law enforcement. 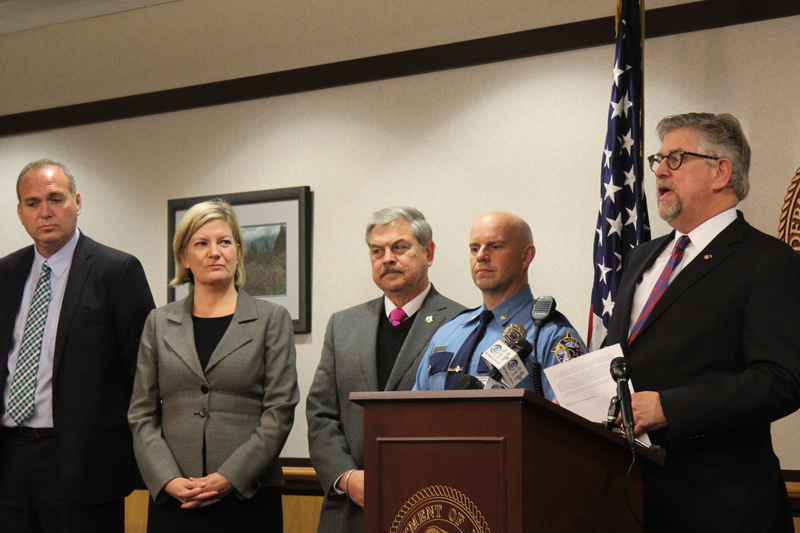 During the press conference, speakers cited the case as one of several recent examples demonstrating that law enforcement agencies are working together more closely to investigate and prosecute violent crime in Alaska. According to Schroder, convictions in federal cases can bring heftier sentences that are determined by the seriousness of the crime and a defendant’s criminal history. He also pointed to the recent state charges against Peter Wilson in a high profile Kotzebue case as stemming from local police partnering extensively with state troopers and FBI agents. Federal sentencing guidelines for the kidnapping and drug charges in the 2017 Anchorage case range from a few years to life in prison.